Thoughts, memories, remembrances, nostalgia, forgotten days and so much more - overwhelm. Alas, that much repeated, tired cliché - words cannot express what is but a joy to behold!!! Prabhabati Bhavan. The first view upon entering the sanctum sanctorum.The flanks are not in the scope of this frontal shot. 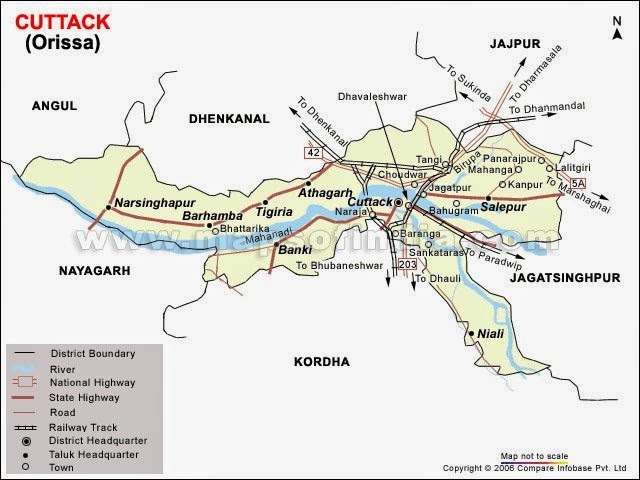 “Prabhabati Bhavan” named after the grandmother stands on the eastern side of Cuttack,in the State of Odisha quite close to river Kathajuri, (the wooden Bridge) a tributary of the river Mahanadi. This is the outer courtyard or "sadar".Gumasthas or managers,simple tillers,sharecroppers or town-visitors,clerks or court-attendants used to seek temporary shelter from their "benign"zemindar.Also, a wall separated this part from the "andar-mahal"or the"zenana "! Aged, dilapidated, monstrous, ancient, decadent and glorious are some of the many descriptions that friends, well wishers and strangers alike have made over time. 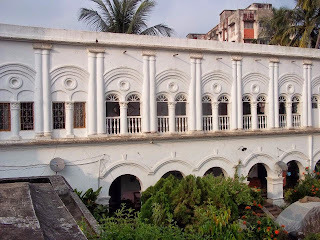 More than a hundred years old, the house has seen Cuttack grow too, a mute co-traveller with history buried deep looking for its very own smelling salts to awake... Repaired, extended, developed, broken, redone, tinkered, tampered and in a sense restored the house stands today as one sees in the picture. Just as so many others- the Stewart School, Ravenshaw Girls School, Buckley Girls, MissionHigh School and such other heritage institutions. In fact, the historic Swaraj Ashram is its immediate neighbour and vies for similar honours. 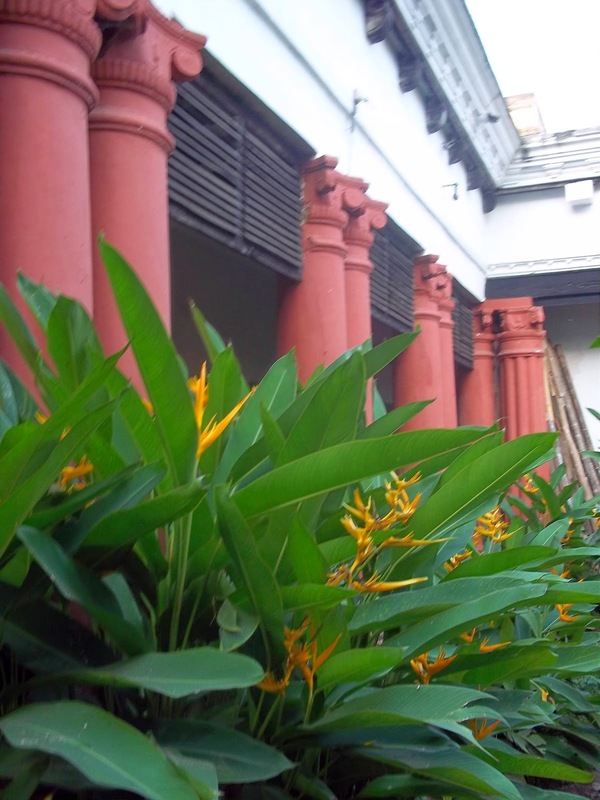 Stand on the terrace of Prabhabati Bhavan and look around. One can see many more such labours of love with their own stories to tell, too- the Sinhas,Das’s, Mishra’s,Majhi's, Behera's, Ghosh’s,Bose's ,Palit's etc. 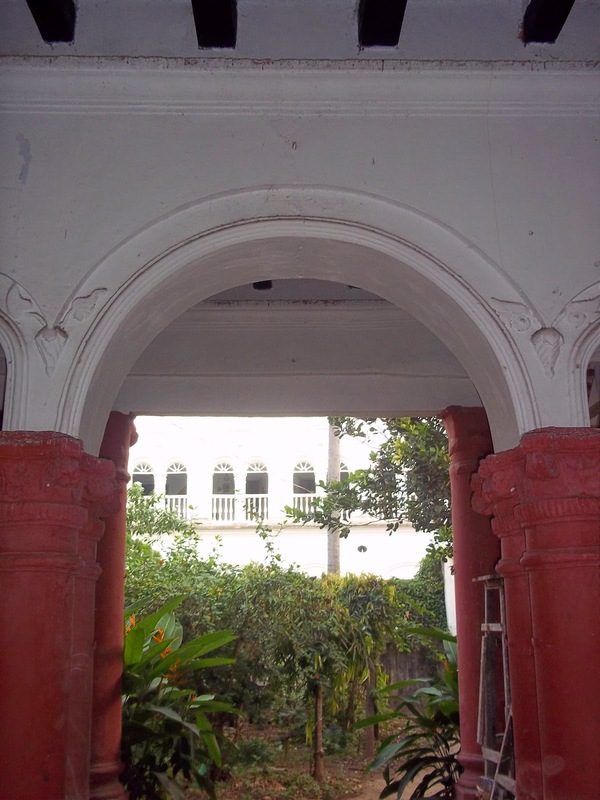 In early 1900 ,the Banerjees, like many Bengalis of neighbouring Bengal seem to have invested their surplus incomes, saved out of the new Zemindari System of British India in the fertile coastal regions of Cuttack They travelled and brought along some of their superior intellectual wares as lawyers along with the exploitive usurious skills. 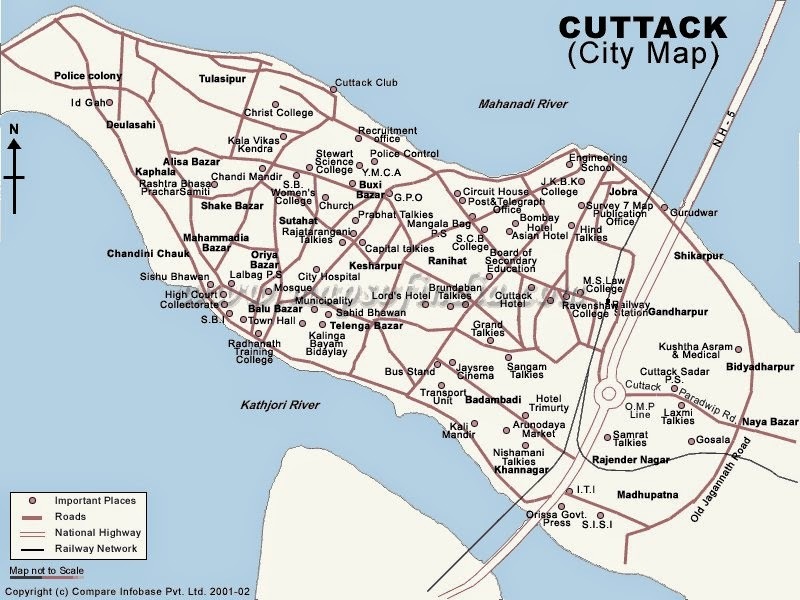 (I would imagine all this had nothing to do with entrepreneurship).They quickly succeeded in acquiring property in and around the fertile eastern coastal Cuttack-Banki, Patarpara,Jagatsinghpur, Mahanga etc.While many returned back to their native land after the “easy kill”, the Banerjees grew and stayed on to be the new ‘zamindars’(landlords).They were honest and prudent enough to become one of the locals and began to write , speak, understand Oriya and in time , settled for good. The saga enters a new era….Gen X…. A space secular it is and that is how I remember today. Friend and the disgruntled, struggler or survivor, the well-heeled or the less fortunate, politician or a has-been, musical or the vagrant, the gumasta or the bhag chasi, the keuooto or the dhobi all entered its ancient portals for succor and joy or some minutes nay hours of relief..There was not much but so much to share…Values of simplicity, gratitude and sharing were learnt by practice, of which -my parents, friends and family were a great example. It was a “muhalla” of sorts. Everyone was family. Haricharan Banerjee, a lawyer of substance kept the good work going while his son Pashupati Banerjee a lesser clerk in the courts held the property and family together.Come, the Second World War and the chaos and deprivation of the Bengal Famine there was an opportunity for the quick witted and not overly conscientious for some easy money to be made on the sly in cheap Chinese silks, parachute fabric and canvas cloth and some on- the- side business deals in grocery, rice and jute. Feudal social relations still prevailed and much revenue from the newly acquired lands was not there to be made. No decent investment was made in seeds, home grown fertilisers or pumping water. Rain, the godsend was the only redemption. They never touched the plough or soiled the hands growing anything. It was all about the “Gomasta” (Estate Manager)”“bhagchasi’(sharecropper or land- tenant) who paid in kind or a certain agreed upon fee for his labours. This varied from one-third to half at different times. Often times compensation was realised through an intricate and familial system of bonded labour in which one or more of the manager’s family permanently was loaned to the master’s city house. Life was quiet and peaceful other than an occasional protest for more wages or inability to pay the agreed amount in time or sometimes the medical complications of childbirth. The Banerjees watched from the wings while the freedom struggle raged .Madhusudan Das,Gopabandhu,Naba Krushna Choudhary, Hare krushna Mahatab, Rama Devi, the political firebrands and their kind were the stuff of light hearted conversations or stories read from illegible hand bills to be gossiped on lazy afternoons over clinking cups of tea and” Mudi with Teley Bhaza” ( a mix of fluffed rice with fried onions or potatoes ) .It was quite another matter that Netaji Subhash Chandra Bose studied from a famous nearby school called Ravenshaw Collegiate and the pioneer freedom fighter and Bengali Gour Shanker Roy lived not too far away. But the difficult days ahead was there for all to see. 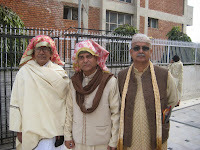 India became independent in 1947 and around this time momentous changes were happening at Prabhabati Bhavan.The scattered and discrete parts of this space owned by various scions of the family got slowly but surely unified.Jayananda and Nityananda Banerjee the sons of Pashupati Banerjee managed to become the sole proprietors. Maa with Pt Nehru sometime in the very early sixties. Very soon as a no nonsense woman, her fire and commitment for social service was noticed. She rose from the ranks to become a member of the All India Congress Committee in the mid sixties. Thus her political pedigree was made. It was a worthy and perhaps natural culmination of her politically vibrant student days, imprisonment during the Freedom struggle and mentorship under Pt Madan Mohan Malviya, the then Vice Chancellor of Benaras Hindu University (BHU).It was fortuitous too that she came from a politically activist family in which her father was a much revered Principal of an Inter College in Basti( Incidentally this College celebrated its Centenary very recently) in those days.Netaji had visited this school and exhorted its children to dedicate their lives to the Freedom Movement. 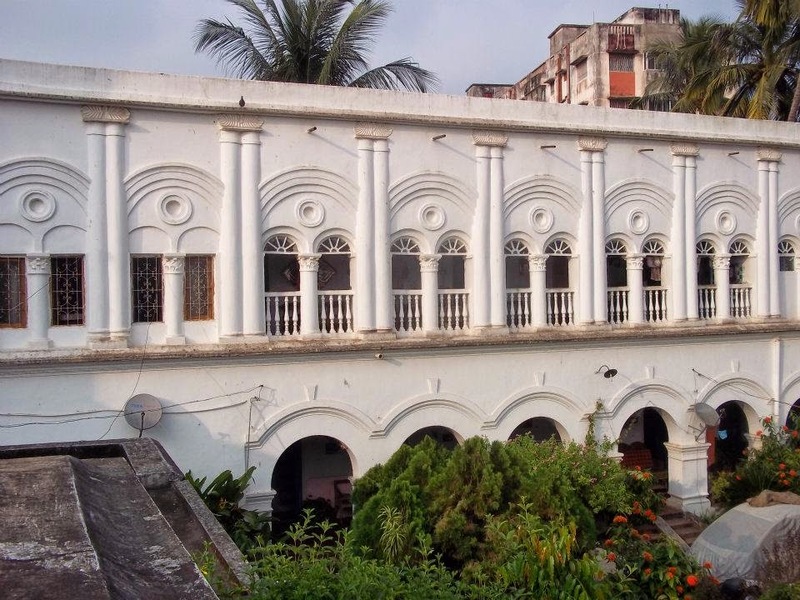 Jayananda was fortunate that his only elder brother Nityananda was unmarried and the latter bequeathed all or most of his share to the eldest son Swadhin Banerjee. Jayananda had four sons and two daughters who grew up with friends and family in this rather big house which had been finally unified tactfully and sometimes freckled with suffering caused by the delay and frustrations of an archaic and slow moving courthouse. In this fateful resolution of organising the properties, Chayya Banerjee stood tall through her uncanny but supreme perseverance. Never one to rest, her obsession to do some social good spurred her on to conceive in the mid sixties from within the premises of Prabhabati Bhavan, the Haricharan Banerjee Municipality Lower Primary School in the early Sixties( it stands even today at a nearby location with the prefix Haricharan Banerjee dropped though ) to provide free education for lesser privileged in the the neighbourhood of Dhobis,(washermen) keootos (fishermen) and goudas (milkmen), and the Nritya Niketan to encourage and nurture the artistically talented..Nabin bhai, Manu Da, Prafulla Kar, numerous vocalists and dancers who went on to earn subsequent fame were some of its illustrious alumni. No story would be complete however without a mention of the religious fervour and ritual intensive flavour that the house was wrapped in from the late sixties while all these socio-cultural activities were on. Swami Ram Kripal Dasji a sadhu (practicing mendicant) from Chirbasa, Gangotri then Uttar Pradesh had asked one of his disciples Mr Chakravarty, then in Nainital that he wished to visit Jagannath Dham Puri as a part of his religious pilgrimage itinerary and as desired by his Guru .Mr Chakravarty immediately referred Ram Kripal Baba to unhesitatingly seek the hospitality of Prabhabati Bhavan where his younger sister Chhaya Banerjee lived by marriage and could boast of a few connections. Thus began a long and continuing association of the Yogi and the Zemindar.Chants, prayers, loud and soulful bhajans in chorus the fragrant incense sticks, smell of fresh flowers, fresh clothes, the continuous rush to the bathrooms for an early bath, the never ending stream of the devout, ringing bells, clanging gongs and the mesmerising sound of conch shells all together had transformed the house into a public temple for the spiritually starved. The Banerjees in particular were having their first real taste (Or more correctly a feast?) at another level - of religion and spirituality. It was this doing perhaps that gave this rather unwieldy family a certain common direction and godly mooring. Much of the ubiquitous and complex contradictions that were manifest in this Bengali household had this bit added to its already fascinating platter. 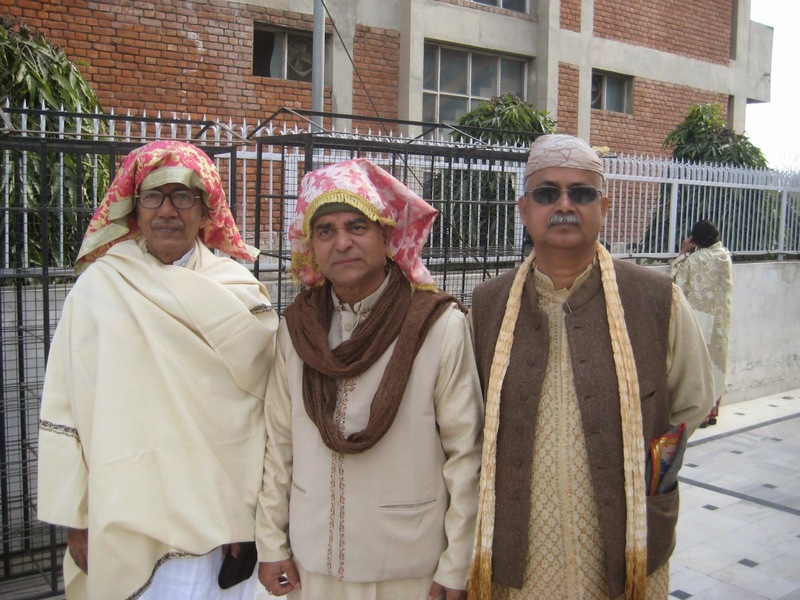 Today, Swami Ram Kripal Dasji is the fond Bada da (Eldest brother) to the Banerjee family by common weal. It was around this time she won the Congress ticket to contest from Banki the village we belonged to. The then Prime Minister Indira Gandhi came to campaign for this unusual woman, too. Sadly, she lost this election contest. The house by then had also transformed itself into a rich nursery for many an aspiring student, politician and job seekers. The likes of Sailabala Patnaik, Mausi of Dagarpara, Rama Devi, Pradumna BAL, Kuna Bhai, Gopal Kar, Sethi, Jena, Bagchi, Bijoy Chakravarty etc spent many of their lonely and hungry hours and days at this house. It never failed the aspirant: pretty much from any walk of life. 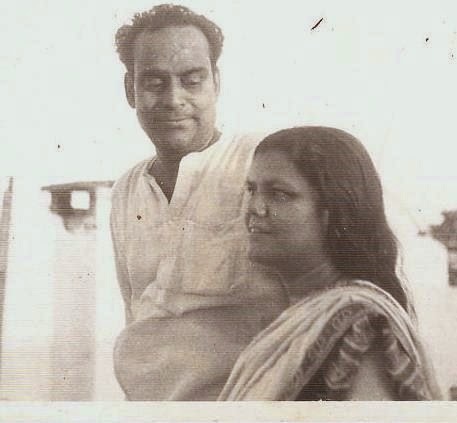 In all of this Jayananda was the perfect foil – a devoted co-traveller silent and ever encouraging while Panchua the Man Friday, the youngest of the Gomasta family of the Banerjees at Banki who can happily take credit for having groomed the entire family selflessly and with scant reward: what with the woman of the house being kept busy for matters more serious. Interestingly, not much income was being generated. Rentals and the earnings of the fast vanishing agricultural land was all that was there. Frequent selling of small and sometimes large pieces of land kept happening to keep the family afloat. The luxuries and profligacy of a “Jalsaghar” was good to see on the silver screen alone. The Zemindari had long since become just another word. How the house and its expenses were managed would be just another guess. Perhaps! And it is this uncomfortable truth that stood in sharp contrast to the bonhomie and ‘bhoji’ (feast) culture the house seemed to symbolise. Would that then be the mystique and allure of all that was decaying, dying or dead? A space secular it is and that is how I remember today. Friend and the stranger alike, struggler or survivor, the well-heeled or the less fortunate, politician , a has-been, musical or the vagrant, the Gomasta (rent-collector)or the bhag chasi,(share cropper) the keuooto, gauda or the dhoba all entered its ancient portals for succour and joy or some minutes nay hours of relief..There was not much but so much to share…Values of simplicity, gratitude and bonding were learnt by practice, of which -my parents, friends and family were a great example. It was a “muhalla” (tenement) of sorts. Everyone was family. It is here that we flew kites, played marbles, “gucchi tandu,”” saat khapra” and “chor police”.Cricket was played with cork balls and hockey with broken cricket bats. 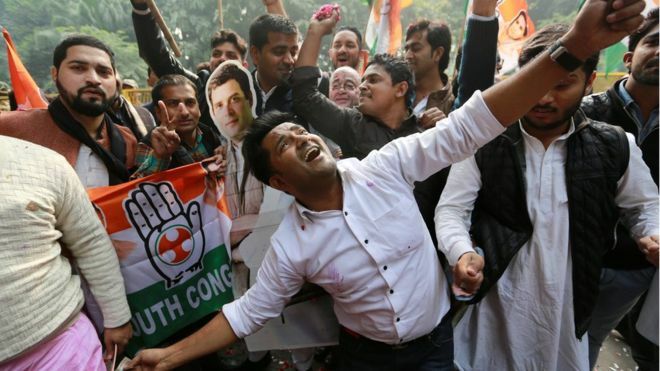 Hockey sticks later came from Meerut city and some cheap pads after great cajoling. In the backyard- yes, many a hand and head was broken or bruised plucking and stealing guavas, mangoes, jamun, drumsticks and Musambhis, bel.Cricket with Tennis balls was too sissy then. Games were for real…many an intrigue that felled the local bad boys had their wicked seeds sown here too. It is here that so many childhoods were nurtured with joy and abandon. 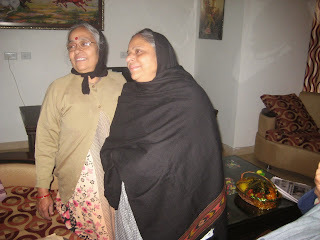 the eldest of the family brought home a nubile and shy Bengali girl from neighbouring Howrah.Alina the younger of the sisters but third in lineage chugged away for her nuptials to Behala in Calcutta to become a Mukherjee. The parents had done their bit to cut the umbilical cord of dependence and the new grown-ups were on their own for once. A well deserved rest for the parents there never was any and quite sadly so. At about this time Sukumar, Sunil and Sarat the last three of the family of six in their teens were still deciding whether to wear the shorts or trousers to school. 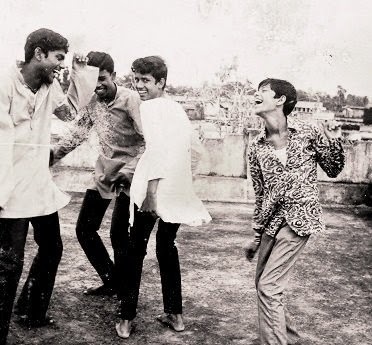 cha cha cha of the late sixties with from L to R lalu,pappu,Tokon and Nilu on the terrace of Gopiram's house. Friends many thronged the busy and noisy household. Shankerbhai or affectionately Lobadiya a gangling sweetheart enthralled with his skills in Carrom,flying kites and playing cards while the ever-faithful and dependable Tokon remained the precocious adviser for all.Pappu,the little taciturn Bihari showed early signs of his ingenuity and inventiveness while patiently bearing many a taunt and tease. 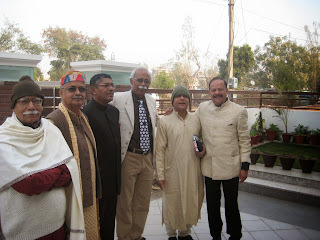 Gopi remained the bewildering Marwari gifted and talented offering his home of plenty for the hungry and sometimes greedy friends.Subuda became a part after having joined this very merry band of scrawny kids, bit later than others, to be the muscle of the growing and very pretentious brat pack. Debjani, Alakananda,Ashima,Golap,Neetu ,Krishnadi, were the sister’s girlfriends we saw while peeping through the cracks of faded windows and doors. The tenants for their part shared happily their spaces with lip smacking native delicacies to eat, tales and folklore, country tunes and their time.Behenji with her consistent struggle, Masterji teaching the students to a sing song rote pattern, their intelligent children were a constant source of inspiration and a firm reminder of how difficult life could get. 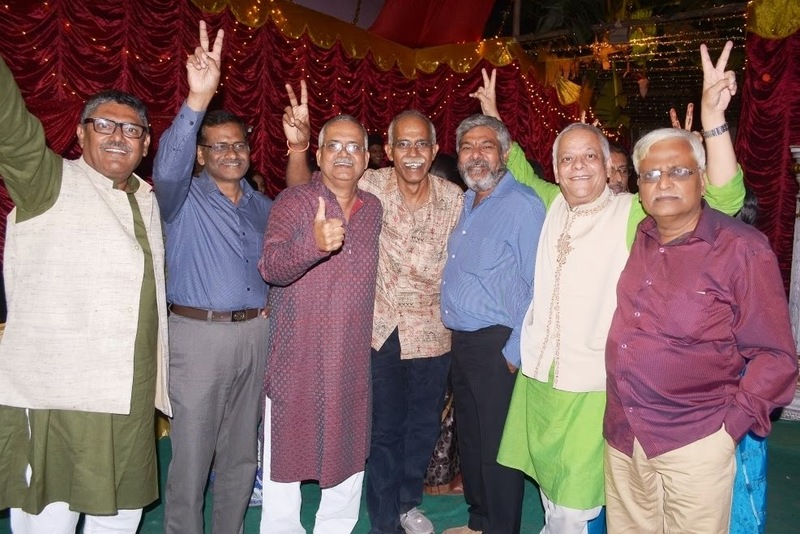 Susila Masi, Gokul Babu, Bharti Jaisukh, Ramoo, Jeetu, Sabita masi, later followed by Manjula masi made many a festival a celebration to be remembered. They were Gujarat’s who had emigrated from Gujarat trying to make a living out of their their business skills in silver jewellery. 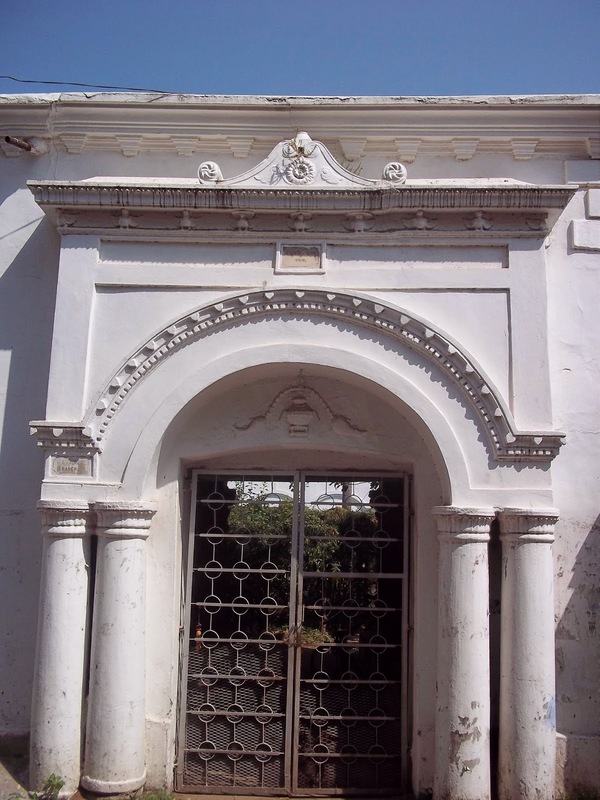 Lakhan da and Boudi were the Bengali goldsmiths from neighbouring MIdnapore who completed the caboodle. The tenants were a heterogeneous bunch from different communities primarily migrants from the states of Gujarat, Bihar and Bengal. Their sons and daughters always joined in to make the much desired numbers required for every game and it was all such Babel of fun. It was one jungle, where all animals and birds seemed to live contented albeit with an occasional scratch and a scar. This house, nay home of and for all belongs to none. Prabhabati Bhavan in more senses than one is but an idea of a place, time, context, conditions and most importantly people. It is no land or territory that is to be possessed or owned - for boundaries it has, but, none.